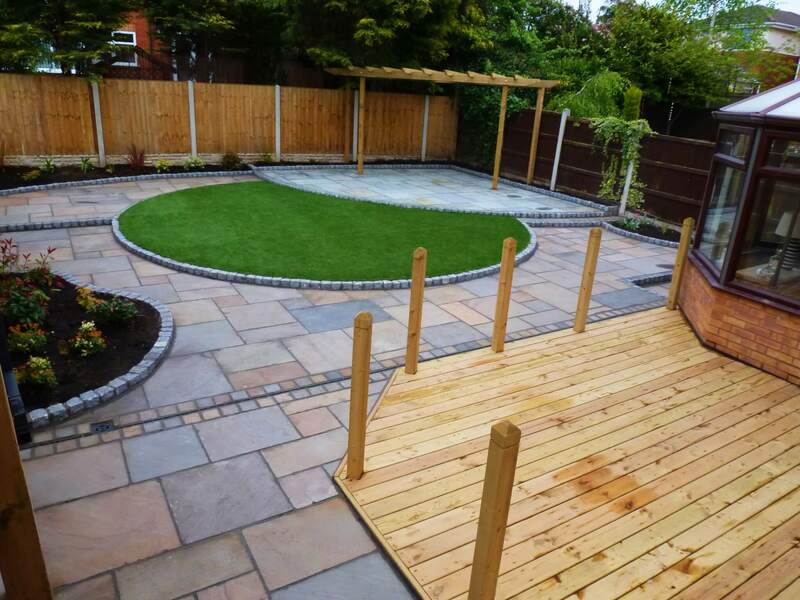 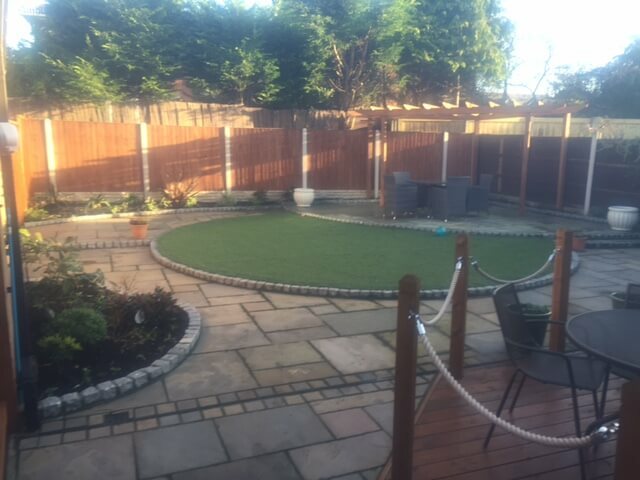 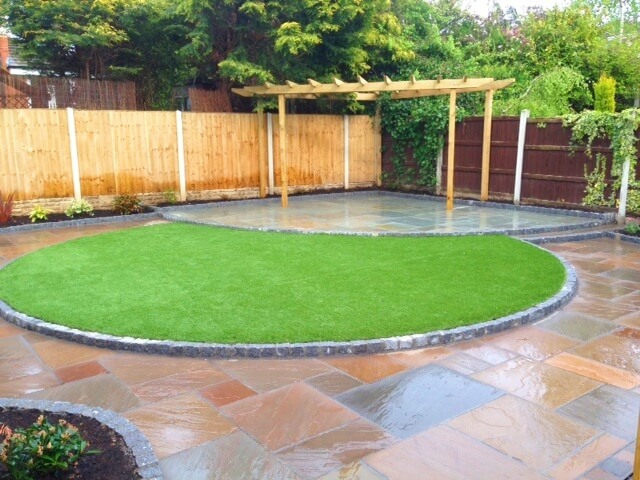 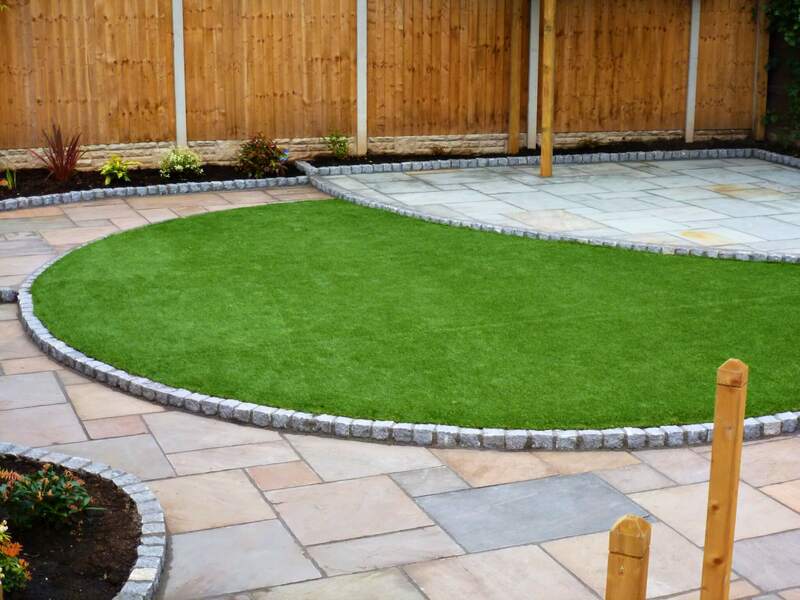 This garden makeover project included some landscaping, timber decking and pergola, natural Indian sandstone for patio and paths, with beautiful circle feature and artificial grass. 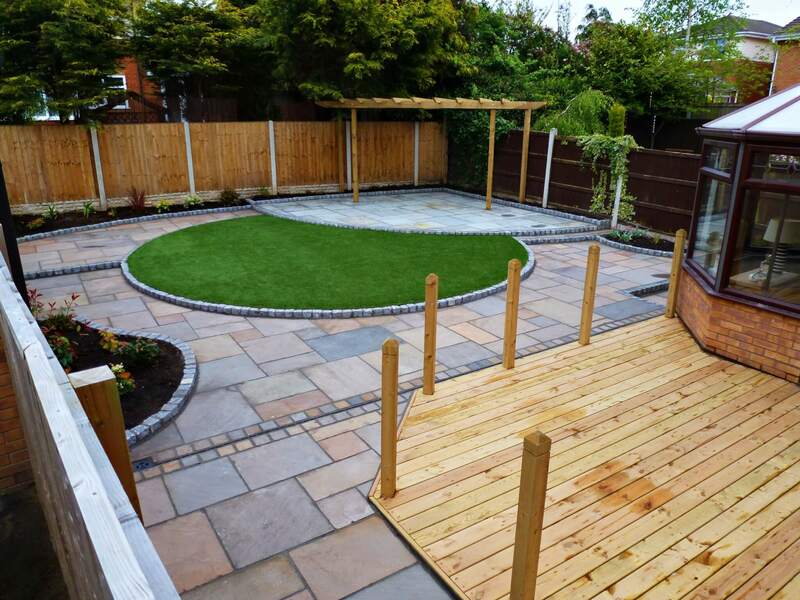 The landscaping work included some raised beds and plants, and some trellis screen fencing and decorative bark. 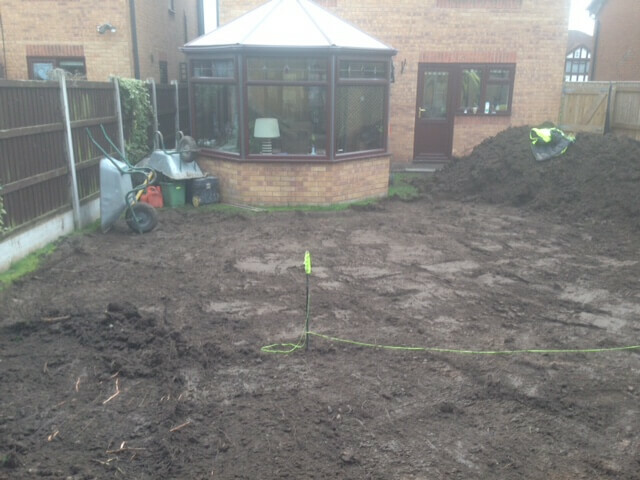 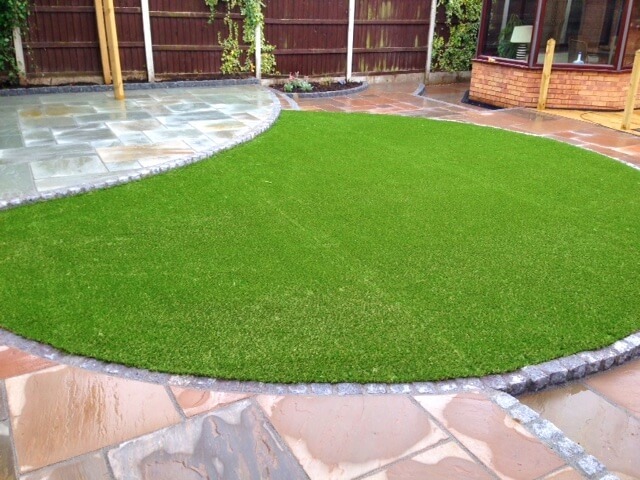 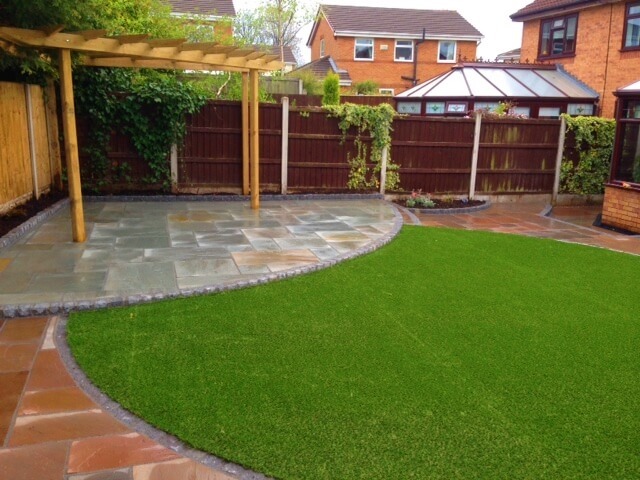 We were creating a circle shaped lawn out of artificial grass which was raised up and retained with natural cobbles. 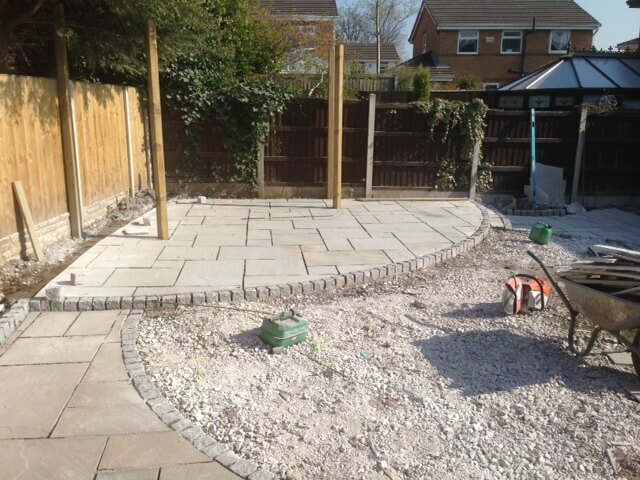 We were creating a raised patio in the rear corner in a quarter moon shape retained by natural cobbles. 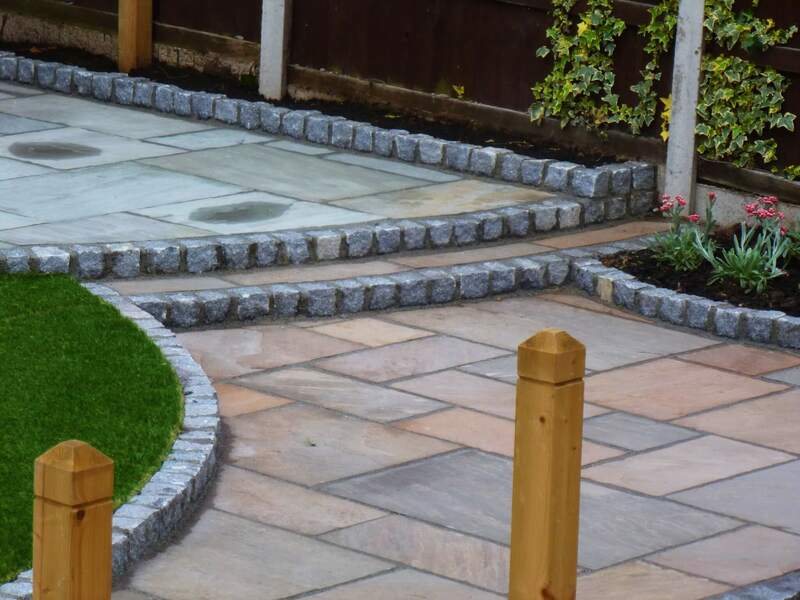 In the three other sides of the garden, we were creating raised beds with planting in them and around the circle shaped lawn we installed the paving cut in around the shaped lawn. 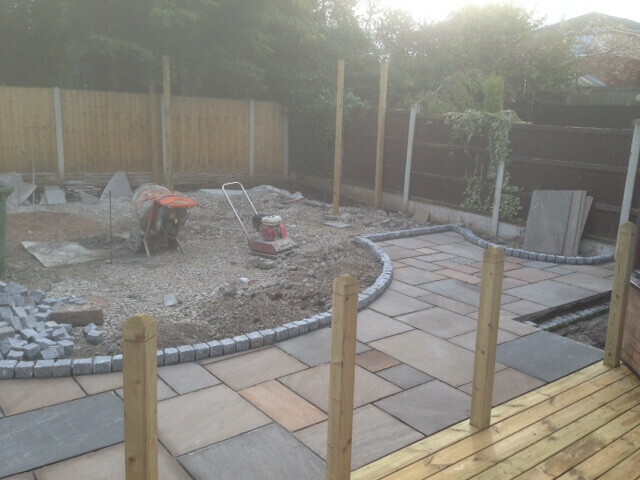 The pergola was constructed in the corner over part of the corner quarter moon raised patio. 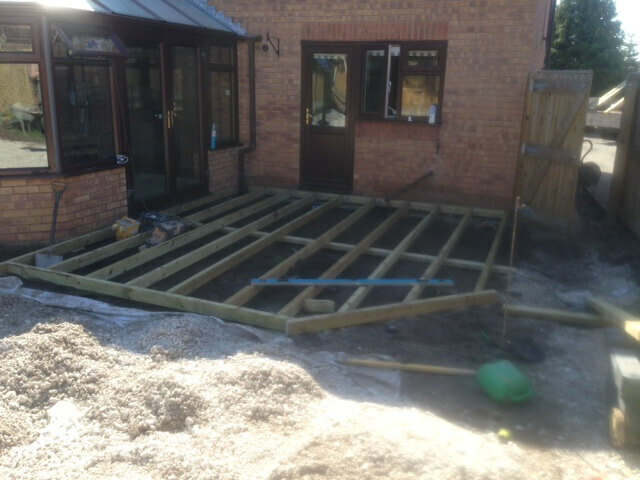 The garden decking feature was constructed by the house joining the conservatory and the kitchen together. 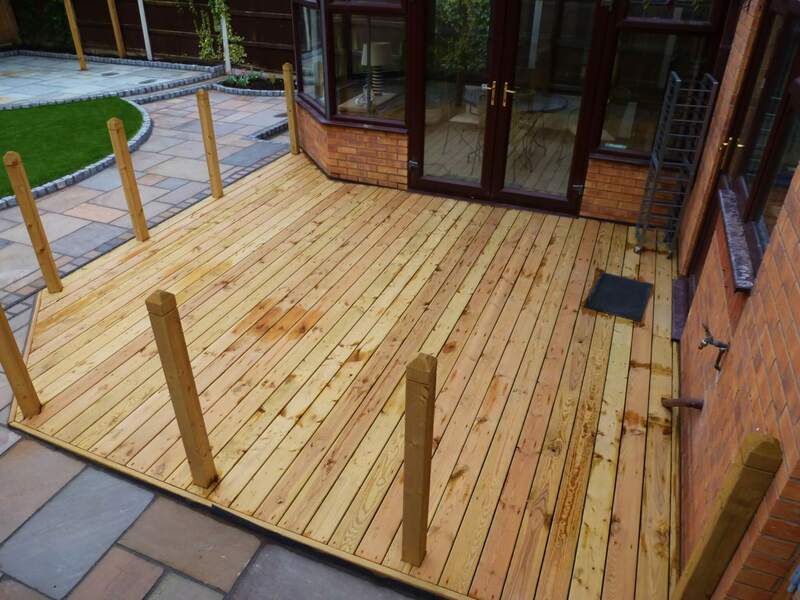 The deck will have a balustrade handrail made with timber spindles and newel posts with an opening on each side to step down to the garden either way. 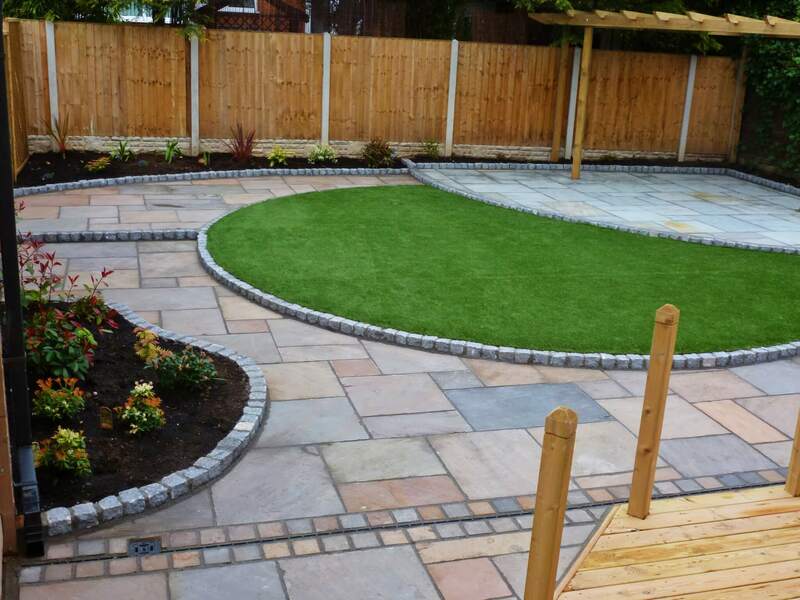 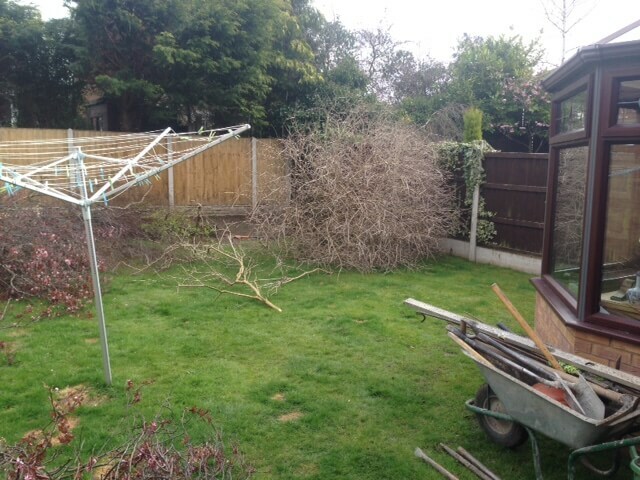 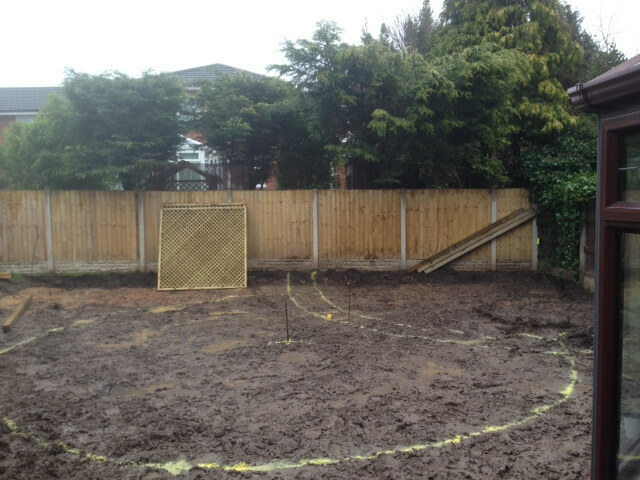 This project was carried out in the Prenton area of Wirral, Merseyside.